A threaded pentagram is a decorative and a spiritual object and can be a very nice addition to your home or your Wiccan meetings. With a little bit of imagination, you could master this technique and create other forms with threads. First off, we need to draw a pentagram pattern. Take the sheet of paper, a pencil compass and a ruler to draw an even-sided pentagram (this can also be done by simply drawing with your hand). 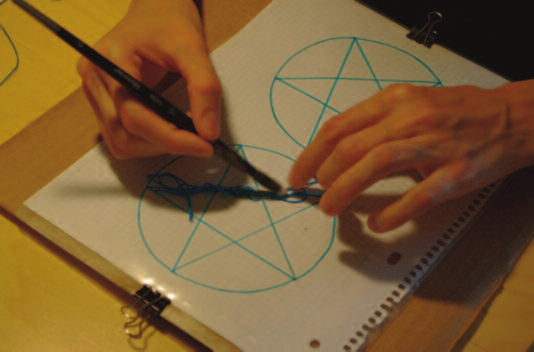 You can try to draw a 12cm diameter pentagram. Now that you’ve finished the drawing, take the sheet of paper and put it inside the folder with side clip. The front of the paper where you can see the drawing is our working side. It’s time to move on to the glue. Dilute the glue with water in a 1:1 ratio. Take a piece of thread and fold it, place it on one of the pentagram lines and glue the thread. The construction will be movable until the glue fully dries, so be careful. 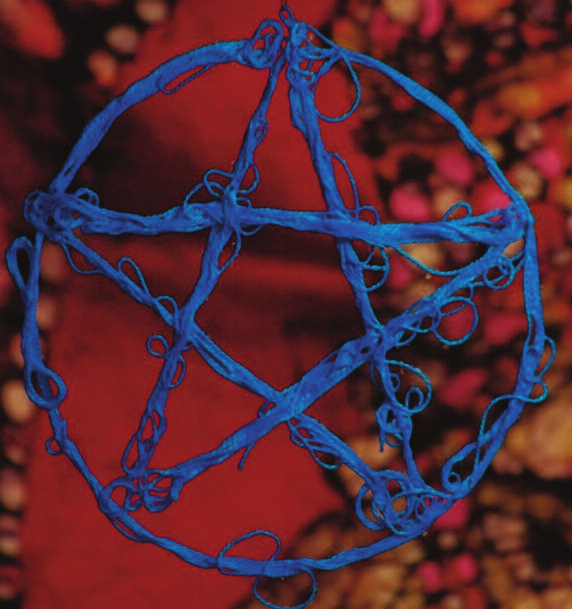 You can also create a background for the pentagram (different color). 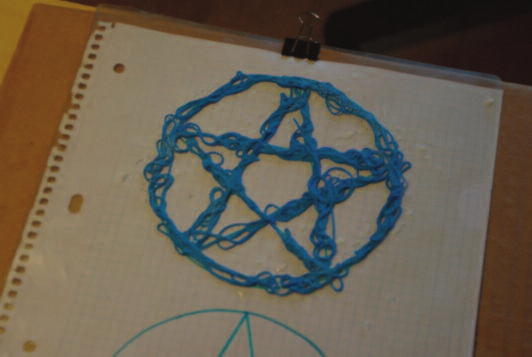 In such a case, after the glue gets completely dry, add another pentagram with differently colored threads. After completing the whole pentagram construction, leave it to dry. It might take half a day or a whole day, depending on the temperature in your room. 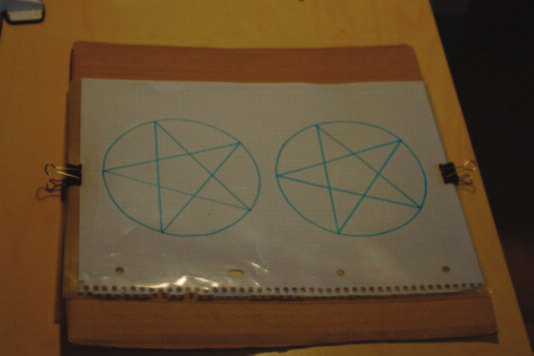 When finished, carefully remove the pentagram from the plastic folder, hang it on a string and enjoy. Such pentagrams are to be used for decorative purposes for ritual space. You might want to try creating four differently colored pentagrams to symbolize the four elements. Big thanks to Par Nada for this great guide.